In 1971 Doubleday published a book called Journeys Out of the Body, a Virginia businessman's memoir of his weird and wonderful adventures on other planes of reality. 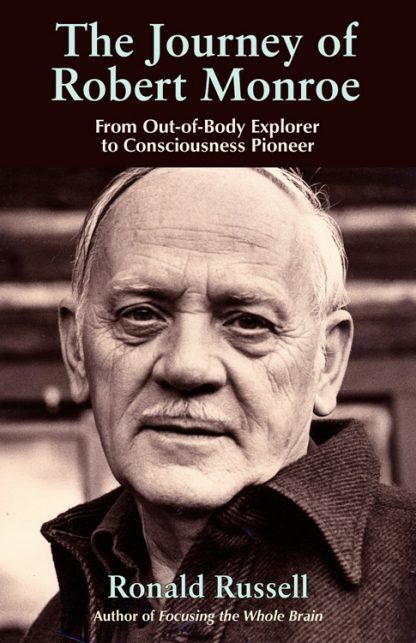 That book, which has sold more than a million copies, and that man, Robert Monroe, helped cement the concept of astral travel into the American psyche and made the "out-of-body experience" a household word. Monroe not only helped others understand this state of being, but through his research on binaural beats and his development of the technology known as Hemi-Sync, he made the OBE accessible through programs at The Monroe Institute, which is attended by thousands of people each year. However, Monroe made consciousness research more than an esoteric thrill ride. He put his technology to practical use by creating frequencies that have helped people with everything from meditation and learning, to insomnia, quitting smoking, and pain control. Ronald Russell was born in Croydon, England. He followed a career in teaching and examined and lectured for various Universities. Ronald�s earlier books were devoted to the history, exploration and restoration of canals and waterways in the UK. When his wife Jill undertook long-distance swimming for health reasons, he documented her feats in Swimming for Life, an authoritative study of the benefits of swimming for disabled people. Ronald retired from teaching and is now living in Galloway, Ronald has given several lecture courses on states of consciousness for the University of Glasgow. He also wrote his own study of altered states of consciousness, The Vast Enquiring Soul. The Russells are both Monroe Outreach Trainers, conducting occasional workshops in their home in Scotland, and making annual visits to Cyprus to present the Going Home program there.